Catholic Cuisine: Venite Adoremus ~ An Apron for Advent! Thank you for sharing. 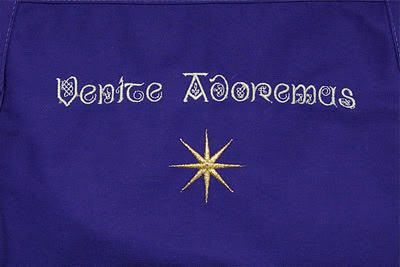 Catholic Embroidery does such beautiful work! I have been very impressed with everything that we have received from them.